Boost the productivity of any survey data collection project with the newest high-precision GNSS receiver for the modern surveyor, the Altus APS3G. 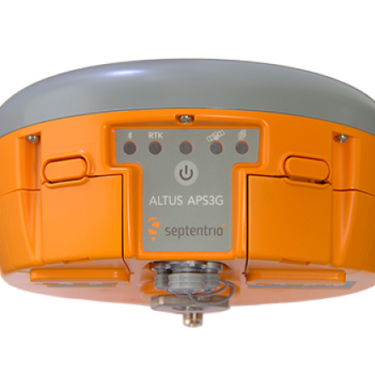 The Altus APS3G Receiver is Septentrio’s latest RTK Engine that can calculate an accurate and reliable position every time. It maximizes the use of existing equipment and offers low cost of ownership because of its open technology that makes it compatible with other hardware and software solutions, especially for data collection via Bluetooth. The Altus APS3G has dual 7.4, 5000 mAh Li-ion batteries that deliver more than a day’s functionality on a single charge. BeiDou and IRNSS are optional features. 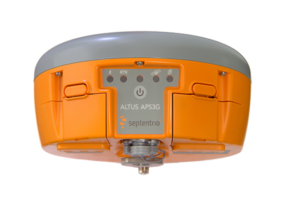 The Septentrio Altus APS3G Receiver is available through Blue Planet Geomatics. If you would like to learn more about it, please feel free to get in touch with us by completing the Request Pricing form.